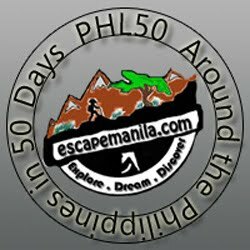 All visitors to the Philippines must have a passport valid for at least six months beyond the intended period of stay; must have a return or onward tickets and documents necessary for future travel as well as sufficient fund. For visits longer than 21 days, a Philippine Visa is required. For most visitors, upon arrival in the Philippines the custom officials will automatically issue a 21 day visa at no costs. 1. Hong Kong Special Administrative (SAR) passports. The Philippine Visa can be extended beyond the initial free 21 days by applying from the diplomatic and consular offices of the Philippines or by applying to the Philippine Department of Foreign Affairs in Pasay City. The visa extension can be granted for 59 days and can be renewed for a maximum of 12 months. Note: Officials are very strict. Persons who overstay their visas are subject to fines and detention by Philippine immigration authorities. For more information please visit the Government's Immigration Department website and visa section.